Special performances by some of the worlds top athletes. Be prepared to be amazed! Gibbon Japans top athletes will perform their dynamic slackline routines that have won them world titles over the past few years. Performances by Japan 2 top trials riders. Trials riding is an extreme test of bicycle handling skills, over all kinds of obstacles, both natural and man-made. It now has a strong – though small – following worldwide, though it is still primarily a European sport. Skills taken from trials riding can be used practically on any bicycle for balance, for example controlled braking and track standing, or balancing on the bike without putting a foot down. 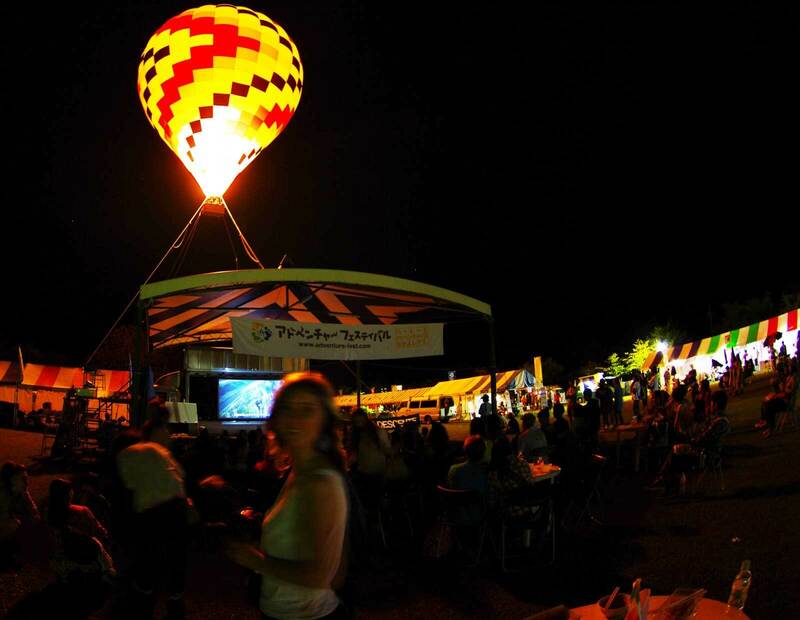 On Saturday night the festival will be putting on a real show with live music, outdoor fashion show, craft beer garden, night performances from the MTB trials and slackline athletes. Come up and get your groove on! The night event will be held in the Onsengai (main street of town) and the whole street will be blocked off in “beer garden style” for the event.